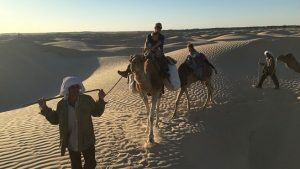 It might not be as renowned as some areas of Tunisia, but Tozeur certainly has a charm that is still able to attract countless tourists on an annual basis. 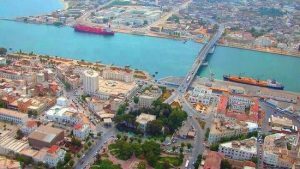 Being surrounded by palm trees, it’s something of an oasis, but also benefits from terrific architecture and offers a great cultural insight to Tunisia to visitors. As you’ve probably already been able to distinguish from the above paragraph, Tozeur is a place which offers a lot to tourists. This means that accommodation is hot in demand, as we cipher through the five most popular hotels in the region. 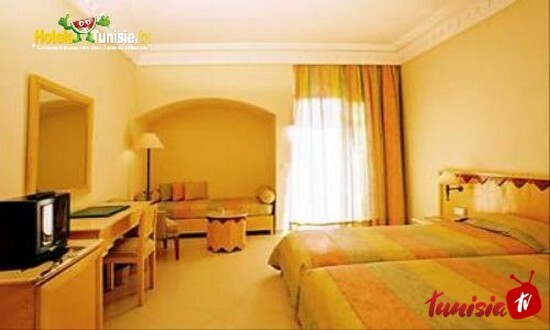 Check out Hotel availability and prices in Tozeur by clicking here. For those looking to arrive in Tozeur and be waited on hand and foot, the service doesn’t get much better than that at Eldorador Ksar Rouge. This is the main benefit that this establishment is renowned for, although visitors will of course have access to a pleasant pool area, spacious rooms and architecture that really allows you to bask in traditional Tunisian culture. A mention should probably be given to the eating facilities at Eldorador Ksar Rouge as well, with guests usually coming away from the hotel full of praise for the varied menu. In fact, if you can combine your dining experience whilst sat on the terrace overlooking the pool, you really will get the most out of the hotel. From the moment you step foot inside Hotel Ras El Ain Tozeur it is clear that great emphasis has been placed on the building as a whole. The exterior is hugely prestigious, while inside boasts a cosy lounge area that is again decked in traditional Tunisian deco. 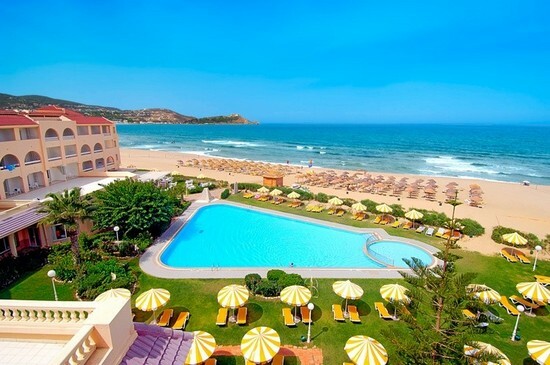 Elsewhere, the hotel has a well-kept pool area and gardens, while there is also a gym for guests to take advantage of. 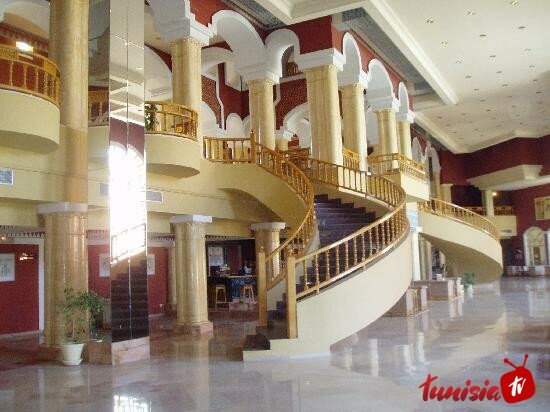 In contrast to a lot of establishments in the region, Hotel Ras El Ain Tozeur has an indoor pool as well and this means that it really can be visited all-year round. In other areas, there is a bar and a separate shisha bar, which again allows you to breathe in more of the Tunisian culture and take advantage of the relaxing environment that Hotel Ras El Ain Tozeur prompts. 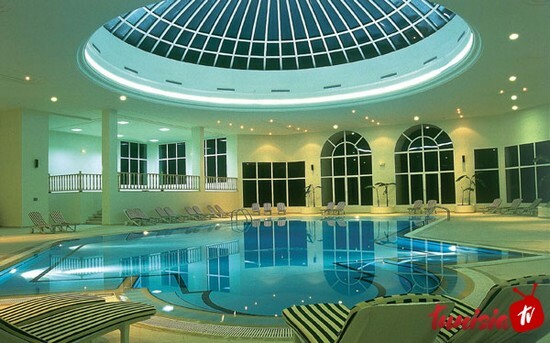 El Mouradi Tozeur is another resort which has its own indoor pool. As such, it is possible to experience the hotel at its best through every season of the year. Just like the majority of hotels in our guide, this is another which prides itself on exquisite customer service. From the moment you set foot through the door staff are there at your mercy and it all adds to the experience. In other news, there is a buffet restaurant which usually goes down very well with guests, while there is also a bar area which stays open until late into the night. Once again, the owners of this establishment have done everything in their power to make the external features hit you instantaneously. La Palmeraie is renowned for its superb outdoor pool area, with this being surrounded by picturesque gardens which make the whole experience completely relaxing. The pool isn’t the only area that benefits from fantastic aesthetics though, with the whole red exterior of the hotel being impressive on the eye and suggesting luxury. In comparison to some hotels, the rooms at La Palmeraie are spacious and impeccably clean. The catering is also worthy of a special mention and many guests are amazed at both the quality and selection of food available at the on-site restaurant. While there are plenty of restaurants in Tozeur, many are more than happy to stay on-site which speaks volumes about its reputation. The final establishment on our list is probably one of the smallest, although that certainly shouldn’t stop you from visiting Ksar Jerid. Just like all of the hotels we have reviewed thus far, it benefits from a central pool which also happens to be deep enough to accept divers. The whole pool area is extremely private and the nature of Ksar Jerid means that it is never going to become overly busy. At this point we should probably hone in on one pool feature that separates Ksar Jerid from the rest. The owners have made this area illuminated, meaning that it’s impossible to enjoy a swim in the evening when darkness has fallen. Considering the fact that the restaurant is renowned for its evening cuisine, it would be fair to say that this hotel provides guests with some romantic and memorable nights.